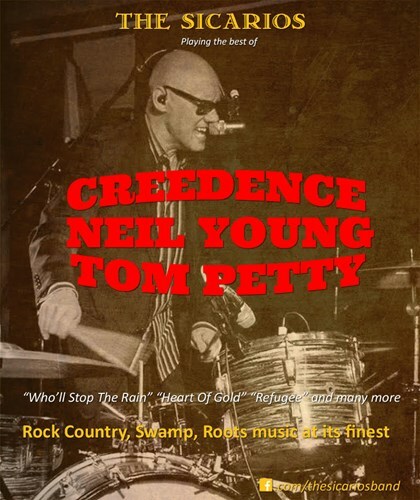 The best of Creedence, Neil Young, Tom Petty played by The SICARIOS, have earned the reputation for truly nailing these classic songs. Led by the irrepressible Lloyd G on vocals / drums out front, whose love and respect of these artists is evident in his captivating storytelling and intense energetic performance throughout the night. He manages to inject new layers of meaning and significance to the music and his warm, witty stage presence really makes the audience feel part of the show. And that's not even to say how he perfectly captures the vocal timbres of Fogerty, Petty and Young. Featuring some of the country's finest musicians, this band will have you captivated from start to finish, and you truly won't want the show to end.